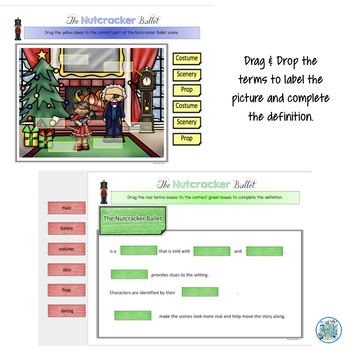 Digital Nutcracker Ballet Digital Activities are perfect for the classroom using Google Classroom, Google Drive, Microsoft OneDrive. 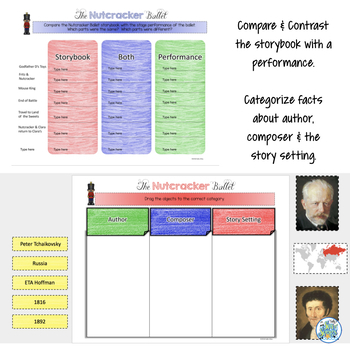 Graphic organizers, vocabulary and fact sorting activities help to support students' understanding of the story of the Nutcracker Ballet and will coordinate with your presentation of the story and viewing of the ballet. 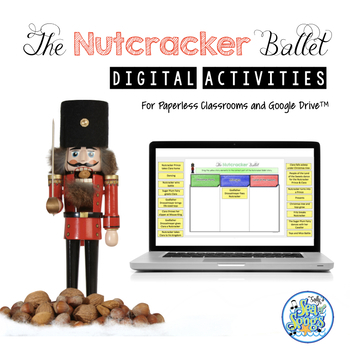 Paperless activities for Nutcracker Ballet are perfect for the 1:1 classroom, however if you don't have technology for your students yet, you can still use this resource. 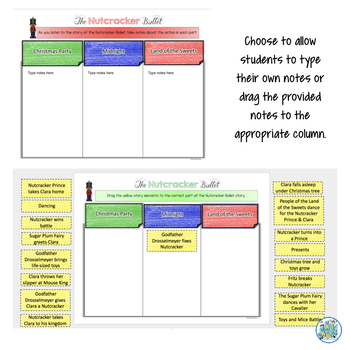 Open this Google Slides resource on your Smartboard and use whole group or for student use during center time. Answer keys are included. Be sure to make a copy to share with students and delete the answer keys! You can also Like my page on Facebook.